This Labor Day I recall an episode in both the history of labor in the United States and in the history of the Catholic Church in America. The last half of the nineteenth century was a time of labor strife, as businesses grew larger, the fruit of the ongoing Industrial Revolution, and workers fought for improvement of working conditions that by any standard were frequently abysmal. Prior to the Civil War apologists for slavery often argued that the average slave in the South was better fed, better housed and better clothed than the average industrial worker in the North. This of course overlooked the entire question of liberty, but there were enough terrible examples of wretched working conditions in the North to give the argument facile support. Unions sprang up to represent workers. One of the largest in its day was the Knights of Labor founded in 1868. Successful in several large strikes, by 1886 the membership totaled 700,000, perhaps a majority of whom were Catholic. In 1886 the Archbishop of Quebec condemned the Knights in Canada based upon the secrecy that attended the meetings of the organization and forbade Catholics to join it. The American hierarchy voted 10 to 2 against condemning the Knights. Archbishop James Gibbons was going to Rome in 1887 to receive his red hat as Pope Leo XIII had made him a Cardinal. While there he took the opportunity to submit a lengthy letter in support of the Knights. Although the letter bears the name of Gibbons, it was probably written by his friend Bishop John Ireland of Saint Paul, who had long been active in support of the rights of workers. The letter did the trick and the Vatican announced that the Knights were not to be condemned. The arguments made in the letter had an impact on Pope Leo XIII and helped lay the groundwork for his historic encyclical Rerum Novarum (1891) in which he defended the rights of workers to organize to seek better working conditions. Ironically the subject matter of the letter, the Knights of Labor, was in decline, too many of its strikes having involved violence which the leadership of the Knights condemned, but which tarnished the Knights in the eyes of the public. The Knights would cease to operate as a labor union in 1900, newer unions taking the place of this pioneering organization. In submitting to the Holy See the conclusions which, after several months of attentive observation and reflection, seem to me to sum up the truth concerning the association of the Knights of Labor, I feel profoundly convinced of the vast importance of the consequences attaching to this question, which is but a link in the great chain of the social problems of our day, and especially of our country. In treating this question I have been very careful to follow as my constant guide the spirit of the encyclical letters, in which our Holy Father Leo XIII has so admirably set forth the dangers of our times and their remedies, as well as the principles by which we are to recognize associations condemned by the Holy See. Such was also the guide of the Third Plenary Council of Baltimore in its teachings concerning the principles to be followed and the dangers to be shunned by the faithful either in the choice or in the establishment of those various forms of association toward which the spirit of our popular institutions so stronglyimpels them. And, considering the evil consequences that might result from a mistake in the treatment of organizations which often count their members by thousands and hundreds of thousands, the council wisely ordained that, when an association is spread over several dioceses, not even the Bishop of one of these dioceses shall condemn it, but shall refer the case to a standing committee consisting of all the Archbishops of the United States; and even these are not authorized to condemn, unless their sentence be unanimous; and in case they fail to agree unanimously, then only the supreme tribunal of the Holy See can impose a condemnation; all this in order to avoid error and confusion of discipline. This committee of Archbishops held a meeting towards the end of last October, at which the association of the Knights of Labor was specially considered. To this we were not impelled by the request of any of our Bishops, for none of them had asked it; and I must add that among all the Bishops we know of but two or three who desire the condemnation. But our reason was the importance attached to the question by the Holy See itself, and this led us to examine it with all possible care. After our deliberations, the result of which has already been communicated to the Sacred Congregation of the Propaganda, only two out of the twelve Archbishops voted for condemnation; and their reasons were powerless to convince the others of either the justice or the prudence of such a condemnation. (a) In their form of initiation there is no oath. (b) The obligation to secrecy by which they keep the knowledge of their business from enemies or strangers is not such as to hinder Catholics from manifesting everything to competent ecclesiastical authority, even outside of confession. This has been positively declared to us by their chief officers. (c) They make no promise of blind obedience. The object and laws of the association are distinctly declared, and the obligation of obedience does not go beyond them. (d) They not only profess no hostility against religion or the Church, but their declarations are quite to the contrary. The Third Plenary Council commands that condemnation shall not be passed on any association without the previous hearing of its officers or representatives. Now, their president, when sending me a copy of their constitution, declared that he is a devoted Catholic; that he practises his religion faithfully and receives the sacraments regularly; that he belongs to no Masonic society or other association condemned by the Church; that he knows nothing in the organization of the Knights of Labor contrary to the laws of the Church; that, with filial submission, he begs the pastors of the Church to examine their constitution and laws, and to point out anything they may find objectionable, promising to see to its correction. Assuredly, there is in all this no hostility to the authority of the Church, but, on the contrary, a disposition in every way praiseworthy. After their convention, held last year in Richmond, he and several of the principal members, devout Catholics, made similar declarations concerning the action of that convention, the documents of which we expect to receive shortly. (e) Nor do we find in this organization any hostility to the authority and laws of our country. Not only does nothing of the kind appear in their constitution and laws, but the heads of our civil government treat with respect the cause which such associations represent. The President of the United States told me personally, a few weeks ago, that he then had under consideration a proposed law for the amelioration of certain social grievances, and that he had had a long conversation on these topics with Mr. Powderly, the president of the Knights of Labor. The Congress of the United States, in compliance with the views presented by President Cleveland in his annual message, is at present engaged in framing measures for the improvement of the condition of the laboring classes, in whose complaints they acknowledge that there is a great deal of truth. And our political parties, far from considering them the enemies of the country, vie with each other in championing the evident rights of the workingmen, who seek not to resist or overthrow the laws, but only to obtain just legislation by constitutional and legitimate means. These considerations, which show that in these associations those elements are not to be found which the Holy See has condemned, lead us to study, in the second place, the evils which the association contends against and the nature of the conflict. 2. That there exist among us, as in all other countries of the world, grave and threatening social evils, public injustices which call for strong resistance and legal remedy, is a fact which no one dares to deny — a fact already acknowledged by the Congress and the President of the United States. Without entering into the sad details of these evils, whose full discussion is not necessary, I will only mention that monopolies, on the part of both individuals and of corporations, have everywhere called forth not only the complaints of our working classes, but also the opposition of our public men and legislators; that the efforts of monopolists, not always without success, to control legislation to their own profit, cause serious apprehensions among the disinterested friends of liberty; that the heartless avarice which, through greed of gain, pitilessly grinds not only the men, but even the women and children in various employments, makes it clear to all who love humanity and justice that it is not only the right of the laboring classes to protect themselves, but the duty of the whole people to aid them in finding a remedy against the dangers with which both civilization and social order are menaced by avarice, oppression and corruption. It would be vain to dispute either the existence of the evils, or the right of legitimate resistance, or the necessity of a remedy. At most, a doubt might be raised about the legitimacy of the form of resistance and of the remedy employed by the Knights of Labor. This, then, is the next point to be examined. 3. It can hardly be doubted that, for the attainment of any public end, association — the organization of all interested — is the most efficacious means — a means altogether natural and just. This is so evident, and besides, so conformable to the genius of our country, of our essentially popular social conditions, that it is unnecessary to insist upon it. It is almost the only means to public attention, to give force to the most legitimate resistance, to add weight to the most just demands. Now, there already exists an organization which presents innumerable attractions and advantages, but with which our Catholic workingmen, filially obedient to the Holy See, refuse to unite themselves; this is the Masonic Order, which exists everywhere in our country and which, as Mr. Powderly has expressly pointed out to us, unites employers and employed in a brotherhood very advantageous to the latter, but which numbers in its ranks hardly a single Catholic. Nobly renouncing advantages which the Church and conscience forbid, our workingmen join associations in no way in conflict with religion, seeking nothing but mutual protection and help, and the legitimate assertion of their rights. Must they here also find themselves threatened with condemnation, hindered from their only means of self-defense? (a) It is objected that in such organization, Catholics are mixed with Protestants, to the peril of their faith. Naturally, yes; they are mixed with Protestants at their work; for, in a mixed people like ours, the separation of religious creeds in civil affairs is an impossibility. But to suppose that the faith of our Catholics suffers thereby is not to know the Catholic working men of America, who are not like the working men of so many European countries — misguided children, estranged from their Mother, the Church, and regarding her with suspicion and dread — but intelligent, well-instructed, and devoted Catholics, ready to give their blood, if necessary, as they continually give their hard-earned means, for her support and protection. And, in fact, it is not here a question of Catholics mixed with Protestants, but rather that Protestants are admitted to share in the advantages of an association, many of whose members and officers are Catholics; and in a country like ours, their exclusion would be simply impossible. (b) But it is asked, instead of such an organization could there not be confraternities, in which the working men would be united under the direction of the clergy and the influence of religion? I answer frankly that I do not consider this either possible or necessary in our country. I sincerely admire the efforts of this sort which are made in countries where the working people are led astray by the enemies of religion; but thanks be to God, that is not our condition. We find that in our country the presence and direct influence of the clergy would not be advisable where our citizens, without distinction of religious belief, come together in regard to their industrial interests alone. Short of that, we have abundant means for making our working people faithful Catholics; and simple good sense advises us not to go to extremes. (c) Again, it is objected that, in such organizations, Catholics are exposed to the evil influences of the most dangerous associates, even of atheists, communists and anarchists. That is true; but it is one of those trials of faith which our brave American Catholics are accustomed to meet almost daily, and which they know how to face with good sense and firmness. The press of our country tells us, and the president of the Knights of Labor has related to us, how these violent, aggressive elements have endeavored to control the association, or to inject poison into its principles; but they also inform us with what determination these machinators have been repulsed and beaten. The presence among our citizens of those dangerous social elements which have mostly come from certain countries of Europe, is assuredly for us an occasion of great regret and of vigilant precautions ; it is a fact, however, which we have to accept, but which the close union between the Church and her children which exists in our country renders comparatively free from danger. In truth, the only thing from which we would fear serious danger would be a cooling of this relationship between the Church and her children; and I know nothing that would be more likely to occasion it than imprudent condemnations. (d) A specially weighty charge is drawn from the outbursts of violence, even to bloodshed, which have accompanied several of the strikes inaugurated by labor organizations. Concerning this, three things are to be remarked — first, strikes are not an invention of the Knights of Labor, but a means almost everywhere and always resorted to by the working classes to protect themselves against what they consider injustice, and in assertion of what they believe to be their just rights; secondly, in such a struggle of the poor and indignant multitudes against hard and obstinate monopoly, outbursts of anger are almost as inevitable as they are greatly to be regretted; thirdly, the laws and the chief authorities of the Knights of Labor, far from encouraging violence or the occasions of it, exercise a powerful influence to hinder it,and to retain strikes within the limits of good order and of legitimate action. A careful examination of the acts of violence accompanying the struggle between capital and labor last year leaves us convinced that it would be unjust to attribute them to the association of the Knights of Labor ; for this association was but one among the numerous labor organizations that took part in the strikes, and their chief officers used every possible effort, as disinterested witnesses testify, to appease the anger of the multitudes, and to hinder the excesses, which therefore, in my judgment, could not justly be attributed to them. Doubtless, among the Knights of Labor, as among the thousands of other Working men, there are to be found passionate or even wicked men who have committed inexcusable deeds of violence, and have instigated their associates to the same; but to attribute this to the association would, it seems to me, be as unreasonable as to attribute to the Church the follies or the crimes of her children against which she strives and protests. I repeat that, in such a struggle of the great masses of the people against the mail-clad power which, as it is acknowledged, often refuses them the simple rights of humanity and justice, it is vain to expect that every error and every act of violence can be avoided; and to dream that this struggle can be hindered, or that we can deter the multitudes from organizing, which is their only hope of success, would be to ignore the nature and forces of human society in times like ours. Christian prudence evidently counsels us to hold the hearts of the multitudes by the bonds of love, in order to control their actions by the principles of faith, justice and charity; to acknowledge frankly what is true and just in their cause, in order to deter them from what is false and criminal, and thus to turn into a legitimate, peaceable and beneficent contest what might easily, by a course of repulsive severity, become for the masses of our people a dread volcanic force like unto that which society fears and the Church deplores in Europe. Upon this point I insist strongly, because, from an intimate acquaintance with the social conditions of our country, I am profoundly convinced that here we are touching upon a subject which not only concerns the rights of the working classes, who ought to be especially dear to the Church which our Lord sent forth to preach His Gospel to the poor, but with which are intimately bound up the fundamental interests of the Church and of human society for the future. This is a point which I desire, in a few additional words,to develop more clearly. 5. Whoever meditates upon the ways in which Divine Providence is guiding mankind in our days can not fail to remark how important is the part which the power of the people takes in shaping the events of the present, and which it is evidently destined to take in molding the destinies of the future. We behold, with profound regret, the efforts of the prince of darkness to make this power dangerous to the social weal by withdrawing the masses of the people from the influence of religion, and impelling them towards the ruinous paths of license and anarchy. Hitherto our country has presented a spectacle of a most consolingly different character —that of a popular power regulated by love of good order, respect for religion, by obedience to the authority of the laws; not a democracy of license and violence, but that true democracy which aims at the general prosperity through the means of sound principles and good social order. In order to preserve so desirable a state of things it is absolutely necessary that religion should continue to possess theaffections and thus rule the conduct of the multitudes. 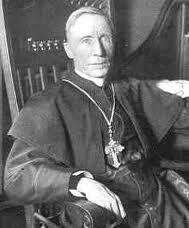 As Cardinal Manning has well written, ‘a new task is before us. The Church has no longer to deal with Parliaments and princes, but with the masses and with the people. Whether we will or no, this is our work; we need a new spirit and a new law of life.’ To lose influence over the people would be to lose the future altogether ; and it is by the heart, far more than by the understanding, that we must hold and guide this immense power, so mighty either for good or for evil. Among all the glorious titles which the Church’s history has deserved for her there is not one which at present gives her so great influence as that of ‘Friend of the People’. Assuredly, in our democratic country, it is this title which wins for the Catholic Church not only the enthusiastic devotedness of the millions of her children, but also the respect and admiration of all our citizens, whatever be their religious belief. It is the power of this title which renders persecution almost an impossibility, and which draws towards our Holy Church the great heart of the American people. In our country, above all, this social amelioration is the inevitable programme of the future, and the position which the Church should hold towards it is surely obvious. She can certainly not favor the extremes to which the poor multitudes are naturally inclined; but, I repeat, she must withhold them from these extremes by the bonds of affection, by the maternal desire which she will manifest for the concession of all that is just and reasonable in their demands, and by the maternal blessing which she will bestow upon every legitimate means for improving the condition of the people. 6. Now let us consider for a moment the consequences which would inevitably follow from a contrary course — from a course of want of sympathy for the working class, of suspicion for their aims, of ready condemnation for their methods. (a) First, there would be the evident danger of the Church’s losing, in popular estimation, her right to be considered the friend of the people. The logic of the popular heart goes swiftly to its conclusions, and this conclusion would be most pernicious both for the people and for the Church. To lose the heart of the people would be a misfortune for which the friendship of the few rich and powerful would be no compensation. (b) There would be a great danger of rendering hostile to the Church the political power of our country, which has openly taken sides with the millions who are demanding justice and the improvement of their condition. The accusation of being un-American — that is to say, alien to our national spirit — is the most powerful weapon which the enemies of the Church can employ against her. It was this cry which aroused the Know Nothing persecution thirty years ago, and the same would be used again if the opportunity offered. To appreciate the gravity of this danger it is well to remark that not only are the rights of the working classes loudly proclaimed by each of our two great political parties, but it is not improbable that, in our approaching national elections, there will be a candidate for the office of President of the United States as the special representative of the popular complaints and demands. Now, to seek to crush by an ecclesiastical condemnation an organization which represents more than 500,000 votes, and which has already so respectable and so universally recognized a place in the political arena, would, to speak frankly, be considered by the American people as not less ridiculous than rash. To alienate from ourselves the friendship of the people would be to run great risk of losing the respect which the Church has won in the estimation of the American nation, and of forfeiting the peace and prosperity which form so admirable a contrast with her condition in some so-called Catholic countries. Angry utterances have not been wanting of late, and it is well that we should act prudently. (c) A third danger — and the one which most keenly touches our hearts — is the risk of losing the love of the children of the Church, and of pushing them into an attitude of resistance against their Mother. The world presents no more beautiful spectacle than that of their filial devotion and obedience; but it is well to recognize that, in our age and in our country, obedience can not be blind. We would greatly deceive ourselves if we expected it. Our Catholic working men sincerely believe that they are only seeking justice, and seeking it by legitimate means. A condemnation would be considered both false and unjust, and, therefore, not binding. We might preach to them submission and confidence in the Church’s judgment; but these good dispositions could hardly go so far. They love the Church, and they wish to save their souls; but they must also earn their living, and labor is now so organized that without belonging to the organization, it is almost impossible to earn one’s living. Behold, then, the consequences to be feared. Thousands of the Church’s most devoted children, whose affection is her greatest comfort, and whose free offerings are her chief support, would consider themselves repulsed by their Mother and would live without practising their religion. Catholics who have hitherto shunned the secret societies would be sorely tempted to join their ranks. The Holy See, which has constantly received from the Catholics of America proofs of almost unparalleled devotedness, would be considered not as a paternal authority, but as a harsh and unjust power. Surely these are consequences which wisdom and prudence counsel us to avoid. 7. But, besides the dangers that would result from such a condemnation, and the impracticability of putting it into effect, it is also very important that we should carefully consider another reason against condemnation, arising from the unstable and transient character of the organization in question. It is frequently remarked by the press and by attentive observers that this special form of association has in it so little permanence that, in its present shape, it is not likely to last many years. Whence it follows that it is not necessary, even if it were just and prudent, to level the sole condemnations of the Church against so evanescent an object. The social agitation itself will, indeed, last as long as there are social evils to be remedied; but the forms of organization meant for the attainment of this end are naturally provisional and short-lived. They are also very numerous, for I have already remarked that the Knights of Labor is only one among many labor organizations. To strike, then, at one of these forms, would be to commence a war without system and without end; it would be to exhaust the forces of the Church in chasing a crowd of changing and uncertain spectres. The American people behold with perfect composure and confidence the progress of our social contest, and have not the least fear of not being able to protect themselves against any excesses or dangers that may occasionally arise. Hence, to speak with the most profound respect, but also with the frankness which duty requires of me, it seems to me that prudence suggests, and that even the dignity of the Church demands, that we should not offer to America an ecclesiastical protection for which she does not ask, and of which she believes she has no need. It is of the United States that we speak, and we trust that we are not presumptuous in believing that we are competent to judge about the state of things in our own country. Now, as I have already indicated, out of the seventy-five Archbishops and Bishops of the United States, there are about five who desire the condemnation of the Knights of Labor, such as they are in our own country; so that our Hierarchy are almost unanimous in protesting against such a condemnation. Such a fact ought to have great weight in deciding the question. If there are difficulties in the case, it seems to me that the prudence and experience of our Bishops and the wise rules of the Third Plenary Council ought to suffice for their solution. 1. When the condemnation does not seem to be justified either by the letter or the spirit of its constitution, its laws and the declaration of its chiefs. 2. When the condemnation does not seem necessary, in view of the transient form of the organization and the social condition of the United States. 3. When it does not seem to be prudent, because of the reality of the grievances complained of by the working classes, and their acknowledgment by the American people. 4. When it would be dangerous for the reputation of the Church in our democratic country, and might even lead to persecution. 5. When it would probably be inefficacious, owing to the general conviction that it would be unjust. 6. When it would be destructive instead of beneficial in its effects, impelling the children of the Church to disobey their Mother, and even to enter condemned societies, which they have thus far shunned. 7. When it would turn into suspicion and hostility the singular devotedness of our Catholic people towards the Holy See. 8. When it would be regarded as a cruel blow to the authority of Bishops in the United States, who, it is well-known, protest against such a condemnation. Now, I hope that the considerations here presented have sufficiently shown that such would be the effect of condemnation of the Knights of Labor in the United States. Therefore, I leave the decision of the case, with fullest confidence, to the wisdom and prudence of your Eminence and the Holy See. By one of those ironies of history, in the mid-19th century, one finds deeply conservative Monarchist bishops and clergy in France supporting workers’ rights, inspired by their inveterate hatred of the French Revolution and all its works, including, of course, the Allarde Decree of 17 March 1791 and the Le Chapelier Law of 14 June 1791. It was not until the law of 25 May 1864, under Napoléon III that workers regained the right to associate and to strike. Thanks for posting this article and letter. The late 19th Century (bleeding into the early 20th Century) was one of the most outstanding times in human history for technological growth, and the improvement of the lives of all people. But, it was not without some pain, especially felt among the workers who became little more than “wage slaves”. Ultimately, work places were made safe and salaries rose. While there certainly was violence and blood, what is amazing is that the antagonism, and anarchy, that marked European labor movements did not take hold as deeply nor as long here in the US. This was due (IMHO) to the influence and true interest of Catholic Church leadership here, as compared to the European model. Rerum Novarum is actually quite positive about Trade Unions, and was influenced by the ideas of Henry, Cardinal Manning (Archbishop of Westminster) whose intervention in the London dock strike of 1889 made him a hero in the eyes of working men. Unions were given full legal recognition in the 1870s, and Margaret Thatcher actually removed some of the rights which had been granted by her Conservative predecessor Benjamin Disraeli over a century before. The anarcho-syndicalism prevalent on the Continent was indeed largely absent in Britain and America. This is due less to the influence of the Church than to a tradition of effective representative government which militated against revolution. John, Cardinal Gibbons considered his victory re: the Knights of Labor to be greatly helped by Manning. Gibbons wrote to him: “I cannot sufficiently express to you how much I have felt strengthened in my position by being able to refer in the document to your utterances on the claims of the working man to our sympathy and support.” Gibbons in later years recalled with amusement a cartoon which had Manning on one side of Pope Leo, and Gibbons on the other, with Pope Leo exclaiming that he must watch himself between two such foxes! Thank you for this Donald. Thanks very much for the information. This is one of the reasons I love TAC so much; unlike many other blogs, the correspondents here (excepting myself) have so much knowledge that the comboxes are actually a great continuation of the excellent posts. Anarcho-syndicalism, in the tradition of Sorel and Proudhon, has deep roots in the Latin distrust of government, as such. Its main appeal was always in Italy, Spain and France south of the Loire, places in which the political class is held in deep and, often, well-merited contempt. In Britain, trade unionism and the Labour party had strong roots in the Nonconformist tradition, especially Methodism in England & Wales and the Covenanter legacy in Scotland. Cardinal Manning was a very great man, but his indignation at wrongdoing sometimes betrayed him into remarks more acerbic than was becoming in a clergyman, as when he said of Lord Palmerston (the Prime Minister) that his character was below his talents.